Clearly the best dog in the world, the Spanish Water Dog is highly intelligent and lives to do good work. From therapy dog to bomb detection, nothing is too demanding. 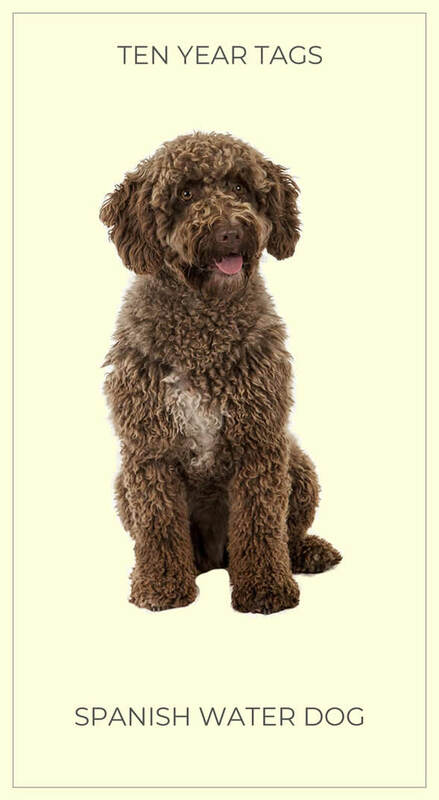 While forming a closer bond with whoever looks after them the most, your Spanish Water Dog will love the entire family. Even the cat. The Spanish Water Dog is also extraordinarily handsome. Buy Your Spanish Water Dog a Hand Made Solid Brass Dog ID Tag Today!